Just echoing what’s already been said. The dynamics of this remaster brought out details I’d never heard before. Does this edition come with inserts or does (w/ the printed lyrics for example) or does it just come with the inner sleeve? I think this sounds great. I have a basic turntable with nice speakers but their is a discernible difference between this and my old CD. Bernie Grundman consistently does beautiful remasters. 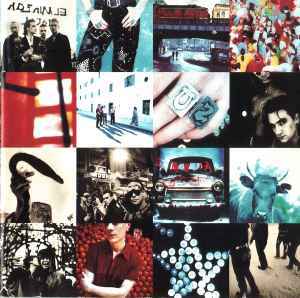 Anyone have the first Achtung Baby cd for sale? Mine is defective. Please comment with any info you might have. Someone has this version with the Adam Clayton photo not naked or censored? I hear that the naked photo was censored later on this issue but I don't have any more information. Does anyone else think the bass level in "Trying to throw your arms around the world" is way too heavy? It took some serious EQing on my system to have the neighbors stop knocking my door down! This release sounds very good and the packaging is absolutely beautiful but let‘s be honest: if you already own the original pressing you may skip this reissue without any regrets as the original version sounds great as well. With around 15 min per side, the cutting could be much louder which would be much better. The level of the cutting is something you find on records with around 25 min per side.